After Melbourne University and I parted company – not on speaking terms – I needed to plug the gap left by going to uni and not studying (more on my favourite diversion, the Rowden White Library, here). The record store where I worked 6 hours a week offered me a full-time position. At that time it was called Max Rose Electronics. Max was a good man. As I settled into the Monday to Saturday rhythm, he encouraged my interest in the music side of things and introduced me to the sales reps who visited periodically. Eventually I did much of the ordering of LPs, cassettes and singles. The morning shop routine tended to be repetitive and tedious; vacuuming the carpets, dusting the toasters, tidying the record shelves and washing yesterday’s accumulation of coffee cups. So the arrival of the record company reps was a welcome diversion. Perhaps you are thinking, “Free samples! !” but alas, all they ever extracted from their cases were empty LP sleeves, slightly careworn from their travels. But it was still fun – and occasionally just a little exciting – to see what the new Led Zeppelin album was going to look like when it was released the next month. “Order you a box of 50?” the WEA rep would tease, knowing that our little store would be lucky to sell a quarter that number. Like the sign at the Vinyl Café said, “We may not be big, but we’re small”. One of the reps was so different from the urbane, confident norm that he stood out like a monk at a beerfest. Quietly introducing himself as ‘Steve’ he explained that he was part of a new Melbourne label that was releasing hard-to-find overseas albums and some local progressive artists as well. The label was called “Clear Light of Jupiter”, he said, and amongst the albums was Monster Planet by Steve Maxwell von Braund. Noting my impression of a nodding dashboard puppy as I looked from the cover to the salesman before me, Steve quietly said, “I shaved off the moustache”. A year or so later, Clear Light of Jupiter released the first album by Cybotron. 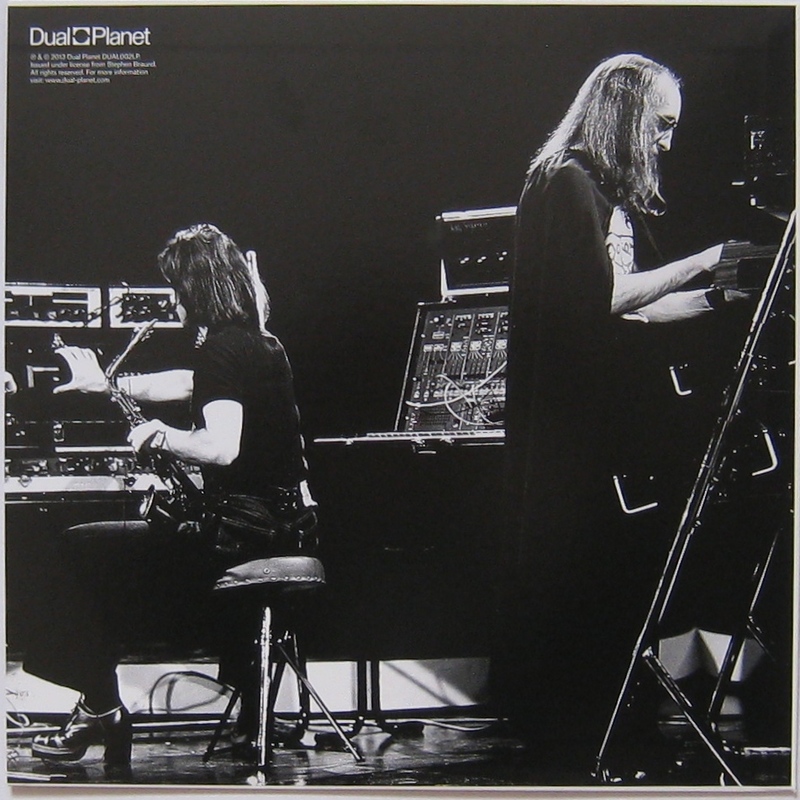 The self-titled LP showcased the compositions of von Braund and Geoff Green, using early electronic percussion and occasional sax to paint evocative synthesized landscapes in the Tangerine Dream tradition. Steve recalls how the band name came to be. I hope they sold a few albums, but in the cultural pub-rock sludge of Melbourne circa 1976 I don’t imagine that they were able to give up their day jobs. They did play some gigs though, one of which was recorded and appeared very briefly in the late 70s. The only copy I ever saw was in a second-hand record shop in suburban Frankston sometime in the late-80s. I thought it was a bootleg – certainly it had a bootleg appearance and ‘rarity’ price tag – so didn’t snap it up. Never saw it again. Then I saw the live Cybotron album. This time I did not hesitate. 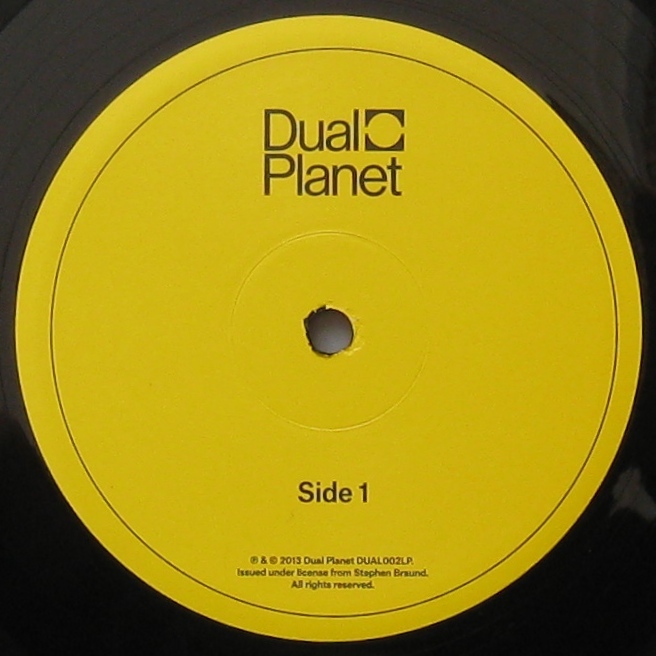 Re-issued November 2013 by new label Dual-Planet, this is a mouth-watering piece of the electronic music story. Check the cover: sporting Cybotron t-shirts, our heroes additionally chose one artefact each; Steve stuck with his trusty saxophone while Geoff opted for a wizard’s cloak. They then attacked their banks of primitive syths. Things will squelch gurgle and thrum tonight! And so they do. Side One is a swirling, lurching, sometimes ominous eighteen minutes excursion into the “Parameters of Consciousness”. If this is an insight into the collective Cybotron brain, I’m not sure I’d want to build a chalet here. But it is interesting terrain to wander through. Think Atem period Tangerine Dream and you’ll get an idea. Electronic percussion provides rhythmic texture and adds some urgency to the journey. In dream terms, it’s more “I’m being chased by shadowy persons of unknown intent” than “Here we are relaxing on the banks of a gently flowing golden river”. Quite late in proceedings, Steve’s echoing sax makes an appearance, sending out phrases that at first evoke keening birds then later suggest woodland elves having a psychedelic rave-up. “Vulcan” occupies most of Side Two. This sounds more like the interstellar home of Mr Spock than the Roman god of fire. Think Alpha Centauri era Tangerine Dream and you’ll get the drift. When the primitive drum machine pattern kicks in at about 3’40” it comes as a jolt, sounding thin and unconvincing to 21st century ears. But as the layers shift and solar clouds drift it is easy to re-enter the Cybotron universe and by the conclusion at 15:00, to marvel at the oscillating edginess of their electronic vision. This 2013 re-issue adds the single “Ride To Infinity”, an excellent studio space-groove with gorgeous squelchy synth swathes over and above a sequenced electronic harpsichord pattern. Love TD and Klaus Schulze? You’ll find much to relish in Sunday Night at The Total Theatre. If electronic music is a strange alien world, perhaps there are more accessible places to start. Or maybe not. Remember in Bladerunner how the music of Vangelis seemed to soar above the seedy steamy low-life decay of the city at street level? Cybotron make the music of those streets. If you are in the mood for a tear-jerker, I’ll relate in gruesome detail the evening a fully loaded rack of cleaned and drying LPs crashed to the floor… no, (sob), I cannot go on. Lol, don’t go there, Bruce – it’s just too, too painful and I’ll be compelled to tell you again about the great album ditching of ’96. 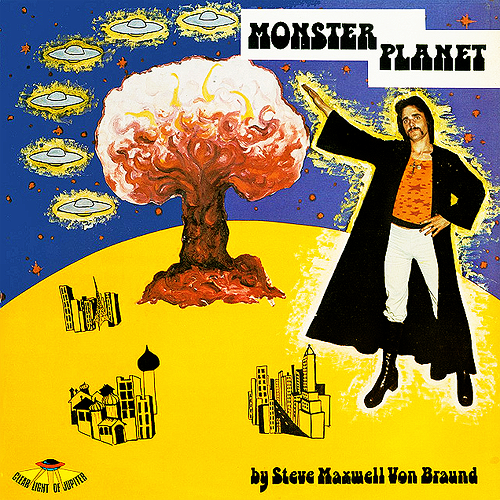 Thanks Bruce, your writing prompted me to find and listen to Monster Planet on You tube. It reminded me a bit of Hawkwind, which provoked some Pavlovian flight-fight responses, but I hung in there and found it OK. There clearly was some interesting stuff going on in Melbourne in the Seventies. Glad you got a return for your perseverance after suppressing the initial ‘run away fast’ reaction. Don’t recall ever hearing about The Total Theatre. I suspect it was part of the ‘alternative’ performing arts scene and as such lived a short and colourful life. Which is not so bad, I guess. You really can’t fail when buying an LP made by cape-wearing musicians. What a great story Bruce. Should I own up that in my 20s I got my mum to add a blue hood to a midnight blue academic down so I could go to parties as a Gandalf type wizard of mysterious power? Absolutely not, I’d keep that tightly under wraps if I was you. 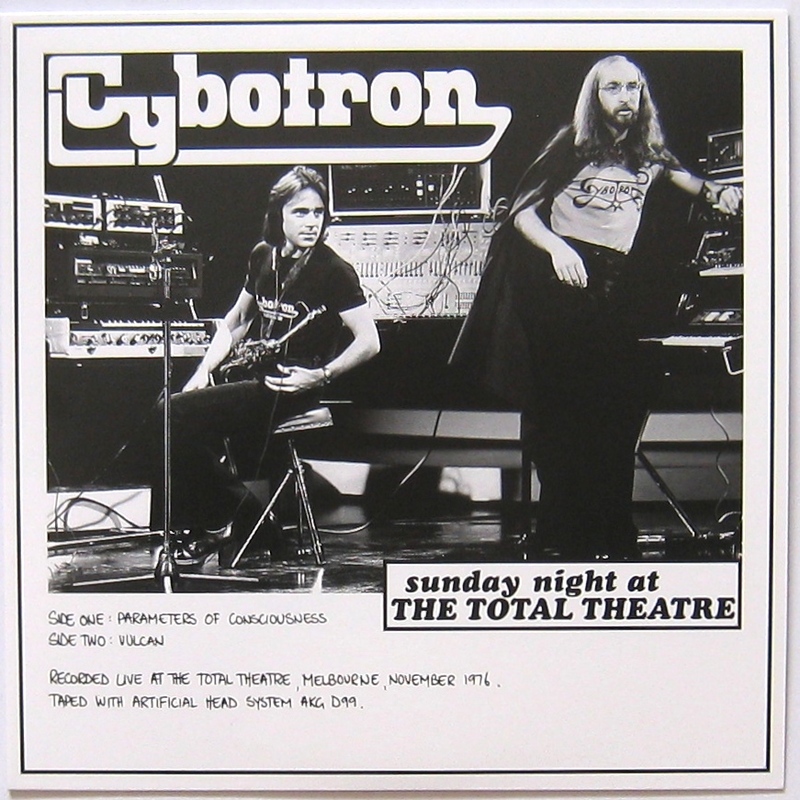 I saw Cybotron LIVE in the late 70’s – some small place in Melbourne. Still have 2 vinyl albums. Bought them at Pipe Records in an arcade in Melbourne. & slipped on the headphones – was great. Bought a few records from that shop back then. Right on. This album was probably recorded around the time you saw them. Pipe was the nickname of the owner. Believe it or not, you can still see him selling records at Camberwell Market on a Sunday.